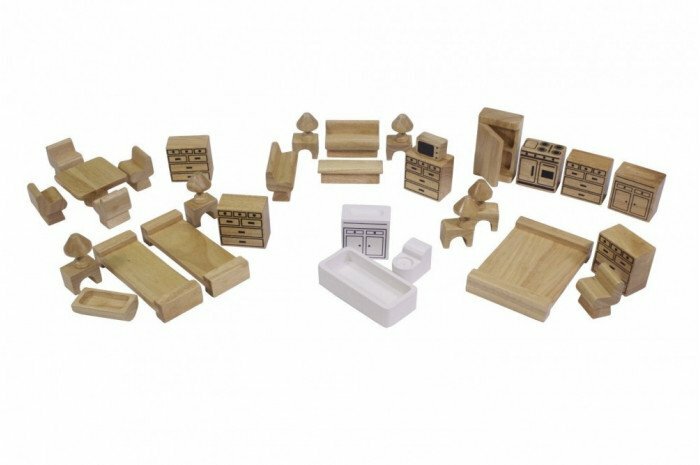 Extremely durable, each piece of this 37 piece set is made out of a solid block of wood. Includes six rooms: bathroom, living room, kitchen, child's bedroom, parent's bedroom, and dining room. 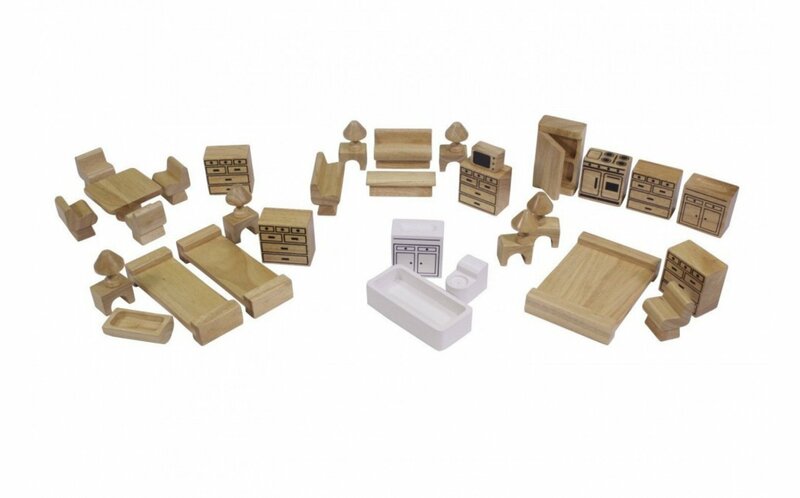 Works great with the solid wood dollhouse, or can also fit most standard-sized dollhouses.